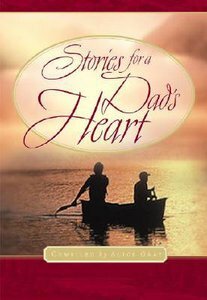 Encouragement, inspiration, and humor in Stories for a Dad's Heart will motivate men to be all they can be for those who mean the most to them. - Publisher The new gift edition of this poignant story collection in the #1-selling Christian stories series, Stories for the Heart, vibrantly illustrated by award-winning artist Mark Keathley, is destined to invigorate the hearts of dads. Filled with encouragement, inspiration, and humor in best-loved selections from the series, these stories will motivate dads to be all they can be for those that mean the most to them. Fathers, sons, and grandfathers will all enjoy and benefit from the values and virtues found in this attractive and captivating collection. About "Stories For a Dad's Heart"
The new gift edition of this poignant story collection in the #1-selling Christian stories series, Stories for the Heart, vibrantly illustrated by award-winning artist Mark Keathley, is destined to invigorate the hearts of dads. Filled with encouragement, inspiration, and humor in best-loved selections from the series, these stories will motivate dads to be all they can be for those that mean the most to them. Fathers, sons, and grandfathers will all enjoy and benefit from the values and virtues found in this attractive and captivating collection. In a world of turbulence and unrest, Mark Keathley gently reminds us of the beauty and peace available in this life. The son of loving parents in East Texas, Mark found inspiration for his oil painting in his natural surroundings -- a colt kicking up his heels, the mountains, the late evening sunlight on grand pine trees and soft pasture grass. The "traditional realist" is a devoted Christian and family man and still makes Texas his home.